Sustainable Printing & Packaging Has Growing Importance for Consumers — Energy Sciences, Inc.
For businesses large and small, sustainable business practices are becoming essential to be competitive in today's consumer marketplaces. An eco-friendly approach to business can mean saving money by wasting less energy or materials, but it can also mean attracting more customers by identifying with their core values. As companies look to evolve their product packaging for the future, they need to consider sustainable printing and packaging practices. 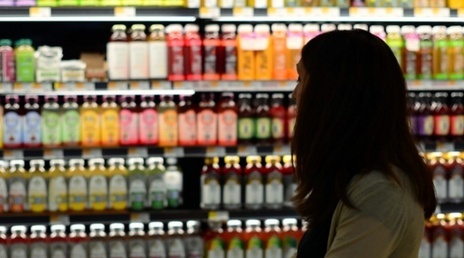 According to research gathered by Asia Pulp and Paper, "one in three consumers are more likely to shop with a brand that offers products in sustainable packaging over brands that don’t offer such options." Embracing eco-friendly packaging initiatives influences customer perspectives of the company as a whole and gives them an additional reason to purchase their product. The APP research also found that "compared to five years ago, sustainable packaging today is more important to half of all Americans." Consumers are voting with their dollar, putting the environmental stewardship responsibility on companies that are seeking their business. To the consumer, it's up to the company to develop and provide sustainable printing and packaging, otherwise, they will take their business elsewhere. Inks give any printed material their color, allure, and overall attractiveness. Consumers pay special attention to how their product's packaging was printed and made into a final product. If the packaging holds food, they also want the confidence that their families are eating healthy and untainted items delivered in a food-safe container. Electron beam inks and curing are the leading way to ensure your packaging inks are eco-friendly, minimize waste, and do not reduce the quality of the print. EB inks use no interstation dryers, so the energy footprint is dramatically minimized, there is no excess waste from unused inks, and the final printed package is entirely food safe. A tried and true way to make a statement about your packaging's sustainability is to use environmentally friendly raw materials. Recycled paper and rPET are common eco-conscience packaging types, as well as materials sourced from a sustainable forest or organic renewable resources. When a product consists of mixed materials, the ease of recycling it decreases. Consumers want their products in packaging that can easily be recycled with clear instructions printed on it. It should be easy for the consumer to responsibly dispose of their waste. If you're looking to make your printing and packaging more attractive to consumers, ESI's eBeam curing technology outfitted on web offset presses increases a business' sustainability and attractiveness to consumers. Click the button below to assess whether electron beam technology is right for your organization.